Today’s post comes amid concerns that the New South Wales Government is weakening in its resolve to reduce alcohol harms with news that the proposed risk based licensing scheme, a key component of its 2014 reforms has been further delayed. Community campaigner Tony Brown says there are important lessons to be learnt just two hours north of Sydney. The current New South Wales Liquor Law Review faces the rather daunting task of sifting through more than 1,800 submissions. And as the Hon Ian Callinan AC commences that herculean task, it is most definitely worth pointing out that we’ve been here before! A mere eight years ago. And just 2 hours or 161 kilometres to Sydney’s north. Newcastle, and its introduction of 3am last drinks, 1:30am lockouts and other alcohol supply measures in 2008 has much to teach us. And while the alcohol industry appears hell bent on refusing to learn those lessons from the very recent past; we surely must. 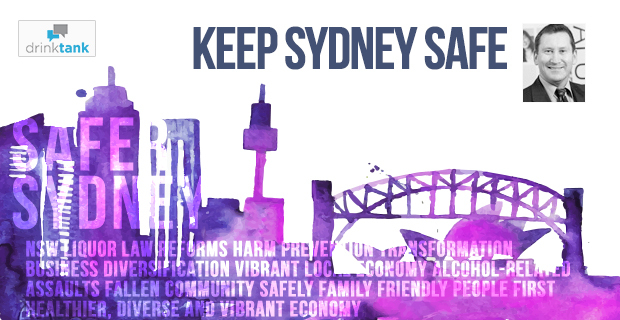 Because Newcastle provides an important case study to evaluate and predict the impact of the liquor law reforms introduced into Sydney in February 2014. That because at its height, it shared comparable crowd sizes with Kings Cross, attracting over 20,000 patrons every weekend, with the ability to serve alcohol until 5am and with scant regard for the responsible service of alcohol provisions. The consequences of this profit driven self-regulatory cocktail were as predictable as they were deadly. Between 2000 and 2008, Newcastle Police Local Area Command led the state with the highest level of assaults in New South Wales and the highest rate of drink driving. The numbers of alcohol-related presentations to Newcastle’s hospitals soared. Industry’s response? Education, responsible service of alcohol marshalls, high visibility policing and more security, some drink restrictions and more public transport. All of these measures proved ineffective, and if they sound eerily familiar it’s likely because these are the very same measures being called for by industry in Sydney and previously trialled by the government in Kings Cross without success. They didn’t work in Newcastle, which is consistent with the available rigorous research, and they won’t make a difference in Sydney other than to divert more scarce public resources to baby sit highly intoxicated patrons and pick up the pieces whilst premises count their takings. That hasn’t stopped the alcohol industry from wheeling out the same old tired and failed solutions. The Newcastle Sydney parallels do not end there. The landmark decision handed down in Newcastle on 14 March 2008 by Mr David Armati, Chairperson of the (then) New South Wales Liquor Administration Board and Chief Magistrate of the New South Wales Licensing Court saw the introduction of a 3am last drinks 1.30am restricted entry, and other supply measures to all respondent premises within the Newcastle CBD. Industry’s response? The New South Wales branch of the Australian Hotels Association claimed at the time that “the draconian measures would devastate the night time economy”. That will sound familiar too. It’s the same tired, exaggerated and unsupported ‘ghost town’ rhetoric being touted by the alcohol industry in Sydney today. A clear case of industry self-induced failure. The number of assaults in Newcastle more than halved since 2008, falling by 64 per cent. These aren’t just statistics. That’s an estimated 5,000 young people who would otherwise have been assaulted. And there was no displacement to neighbouring drinking precincts. And Newcastle’s night time economy? It’s far more prosperous and diverse with more than double the number of licensed premises with a stronger mix of restaurants and small bars. It was a triple win for Newcastle. Reduced harms, a more diverse and welcoming night time economy enjoying around 80 per cent community and patron support, and more jobs. The impact of the Newcastle measures has been subject to substantial and rigorous scientific research which has consistently established the efficiency and effectiveness of a modest reduction in trading hours to significantly reduce alcohol-related harms, at no additional expense to the taxpayer. Of course, the Newcastle experience has passed the most important test of all. If there is an element of ‘groundhog day’ in the alcohol industry’s opposition to the Sydney measures, we can take comfort in the fact that the positive results so clearly achieved in Newcastle and other international locations are now also being repeated. The reduction in non-domestic assaults seen in Sydney’s Kings Cross precinct down a staggering, but expected, 45.1 per cent. Industry would have you mourn the closure of big booze barns, the overcrowded venues banking on a business model predicated on selling alcohol to already intoxicated patrons. Yet the lessons from the very recent past tell us not to. The current Independent Review into the impact of Sydney’s alcohol laws need not travel or look back very far for the answers it seeks. Just ask the people of Newcastle.